Children are a beautiful gift from God. When God blesses us with children, it is nothing short of a miracle. 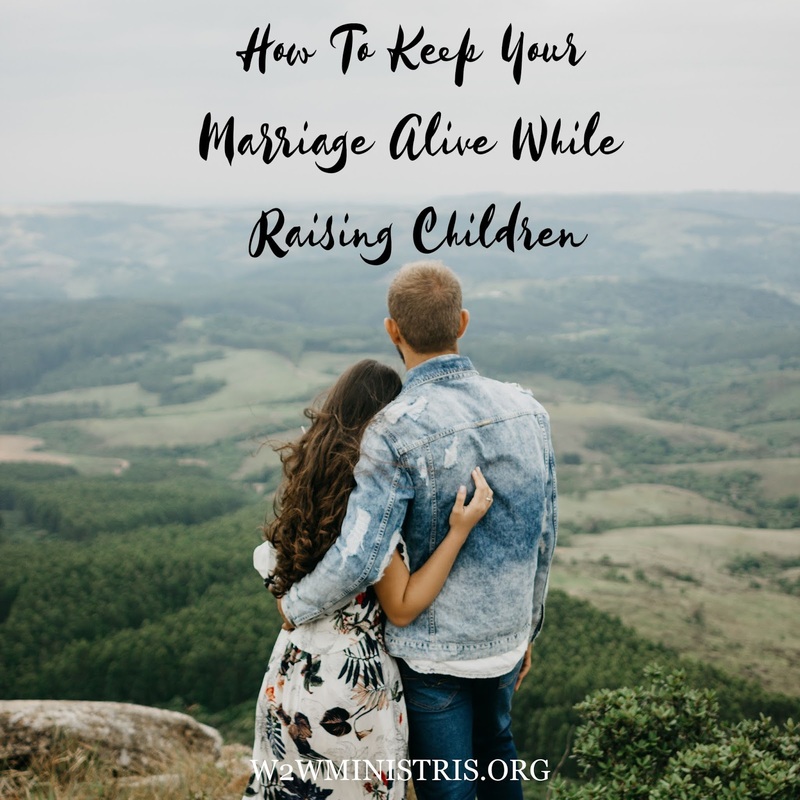 David tells us in Psalm 127 that “children are a heritage of the Lord” and “blessed is the man whose quiver is full.” Yes, children are certainly a blessing. The thing many couples fail to remember is that those children God blesses us with will one day grow up and leave. They will have lives and families of their own. This is the way it is meant to be; we raise our children to grow up and leave. While we are still raising our little blessings, we are busy changing diapers, running them to soccer and ballet, helping them memorize their Sunday School memory verse, teaching them to read, teaching them to drive, and all those busy yet fun things that go with raising children. So busy, in fact, that we forget about each other. When that fateful day comes and our children are grown and leave our home, will we look across the room at our spouse and even recognize them anymore? Will we know what they like and dislike? Will we know what makes them tick? Will we remember why we fell in love with them in the first place? You might think that you just don’t have the time, energy, or money to devote to dating your spouse. Let’s turn that around for a moment. Do you have the time, energy, and money for things important to you such as a hobby, sport, or even a tv show? We make time for those things we love, we make sure there is enough money for what we want, and we do what we love no matter how much energy we have or don’t have. Yet we fail to do the same for our marriage. This is an area where we need to simply draw the line. We need to make the plan and be intentional. Dating your mate doesn’t have to look like dinner at a five-star restaurant. However, if that is your thing and your budget allows, go for it! Dating your mate can look like pizza and a movie, bowling and nachos, an ice cream cone and a walk around the park, or it can even look like putting the kids to bed early to have a candle lit dinner on the back porch. Whatever it is, just do it. While dating is vital in marriage, it isn’t the only way to keep the connection alive. Have fun conversations, have deep conversations, take trips down memory lane, pray together, and flirt with each other. Make your marriage a priority now so that when the nest is empty, there is still a marriage to be had. 1. How do you and your husband keep your physical connection through the years of raising your children? 2. How do you and your husband keep your emotional connection through the years of raising your children?